Cape Sharp Tidal sold only 41.4 megawatt-hours (MWh) of electricity to Nova Scotia Power last year, enough to power the equivalent of about four homes, far short of the 500 the company claimed when it first deployed the turbine in the Minas Passage near Parrsboro. 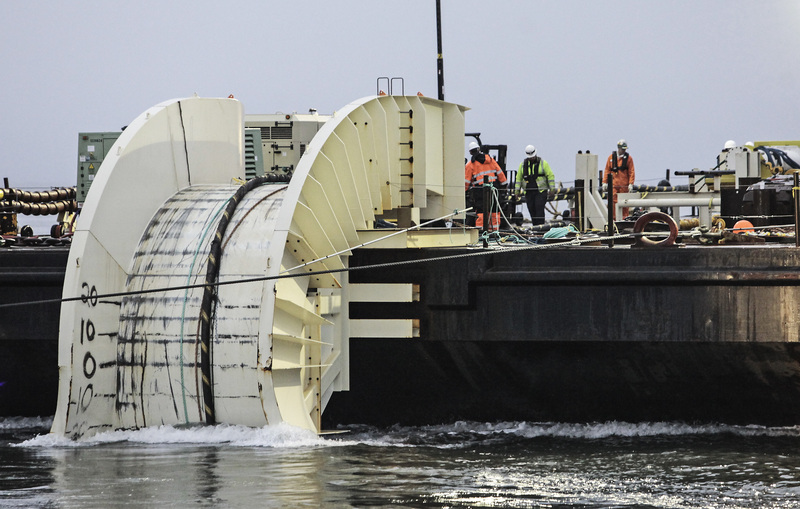 “Nova Scotia homes and businesses are now powered by North America’s first in-stream tidal turbine,” Cape Sharp said in a news release issued in November 2016. “The demonstration turbine—designed and manufactured by OpenHydro—uses a fraction of the estimated 7,000 MW potential of the Minas Passage to power the equivalent of about 500 Nova Scotia homes with energy from our tides,” the news release added. However, Stacey Pineau, who speaks for Cape Sharp, said in an e-mail to The New Wark Times that in spite of its low power generation, the turbine deployment was a success. She said the turbine produced a total of 111 MWh between January and late March 2017, but nearly two-thirds of that power was required to energize the transmission line that connected the turbine to an on-shore electrical substation and to provide heat and light at the substation. 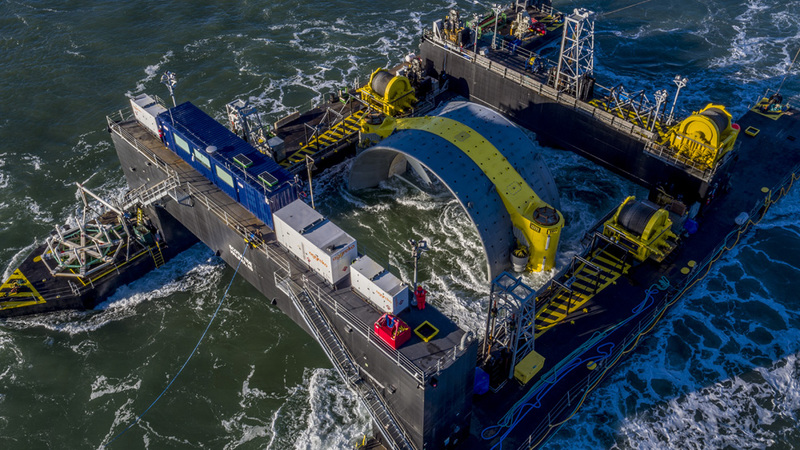 “The amount of electricity the turbine generated during this period was limited as we tested the system in different conditions and tidal cycles – we were not focused on maximizing power output,” Pineau wrote. The Cape Sharp turbine was pulled from the water on June 15 and moved to Saint John Harbour where it has been undergoing repairs to its Turbine Control Centre, a school-bus-sized unit that transforms electricity produced by the generator into alternating current compatible with the power grid. Pineau said the company is still on track to deploy a second turbine in the Minas Passage this summer, while the recovered turbine undergoes a detailed inspection of its interior. “Our focus now is on continuing to fine tune the next turbine and its monitoring equipment based on everything we have learned so far,” she added. With the Cape Sharp turbines out of the water, all five berths at the FORCE test site in the Minas Passage are empty with no immediate plans for deployments by other tidal companies. Mary McPhee, FORCE’s former facilities manager who quit her job in December, says the lack of activity raises questions about the future of the Fundy Ocean Research Centre for Energy. “It’s more important now than ever that the public asks questions about what’s going on,” McPhee says adding that FORCE’s managers have isolated themselves in Halifax and are not engaging with communities and fishers affected by the tidal industry. Nor do they seem to care, she says, that small communities such as Parrsboro aren’t benefitting more from tidal projects. McPhee, who worked at the FORCE centre near Parrsboro for more than six years, says she’s also concerned about the lack of adequate environmental monitoring in the turbulent waters of the Minas Passage. “I will be heartbroken, if in two to five years, FORCE closes down and becomes a waste of taxpayers’ money,” McPhee says. Matt Lumley, who speaks for FORCE, says he agrees with McPhee that Parrsboro needs to benefit more from tidal activity. “Over time, it makes sense that the FORCE project, and berth holder activity, will be more based on the site,” Lumley writes in an e-mail. He adds that although FORCE has consistently hired students for summer jobs and Nova Scotia community college graduates have been spending more and more time there, tidal deployments have been slow to get going. “And that’s really the engine that will drive all activity and employment and spin-off on site,” Lumley writes. Lumley says it would make sense if small-scale developers put their devices in the water adjacent to the FORCE site at Black Rock. The FORCE site has its own transmission line connected to the grid. The Nova Scotia government has invited tidal developers to seek permits for small-scale projects of up to five megawatts (MW) in the Bay of Fundy or Cape Breton’s Bras d’Or Lakes. 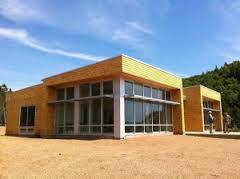 The small-scale projects would be limited to a total of 10MW. Lumley writes that FORCE regularly talks to developers around the world. However, the thought of expansion at the FORCE site beyond the five berths that are already there, angers Darren Porter, a weir fisherman who speaks for the Fundy United Federation, a group that represents about 100 fishers. Porter points out that the area is a prime lobster fishing ground that has already been disrupted by the tidal industry. He says it makes no sense to expand the FORCE site and put more test turbines in the Minas Passage where it’s practically impossible to gauge their effects. “They should go some place where we can actually determine the effect of these machines in clearer water and in an environment that can be monitored,” he says. This entry was posted in Tidal Power and tagged Cape Sharp Tidal Inc., Darren Porter, Mary McPhee, Matt Lumley, MWh, Stacey Pineau. Bookmark the permalink. This erratic tidal monster may just prove to be better left alone — and just maybe it already has! Marine life would surely welcome that step — as well as the taxpayers of Nova Scotia. Also the $48 million of public money already invested and an offering of 53 cents per KWH for future feed-in tariffs are way out of whack with reality. This turbine energy sounds promising in terms of renewable energy to generate power, no? Perhaps it takes time to get good/better results? I wonder if this company is closely collaborating with international partners such as Dutch companies or other. How and what can we learn from their experiences, mistakes, and opportunities for growth? They may have a longer history of expertise in this field? I wonder if academic researchers are examining the impact of turbine (and also or wave) energy on ocean life (if any impact? Perhaps the evidence would reassure people?). Our local (NS-NB-PEI) fishermen are on the ground (so to speak!). They would have a concrete sense of how this is impacting their fishing products and their business on a daily or seasonal basis. I wonder if it would help to invite ALL the stakeholders to collaboratively work together, right from these early stages of piloting, testing…and, ideally later production or commercialization, etc. Hearing the voices of everyone: Governments, fishermen, scientists, industries, citizens, environmentalists, businessmen and women, etc. It is good that the company is involving trainees. It may have to work on securing a trust relationship with citizens: More communications, more media outreach events, open houses, etc. If I recall well, they may have had an open house in 2015. Was this the latest one? If so, this was a long time ago. Thanks SO much Bruce for these resources and the information! How interesting to learn about all this (website text, maps, etc. ), especially the connection to DCNS (French naval interests are all over the planet, including parts of the Middle East). I was also interested in reading about the link to Thales too. Thank you again & Happy Family weekend :).